Wall thickness 1.5mm 304 grade is nice to weld less brittle than the 316 grade. 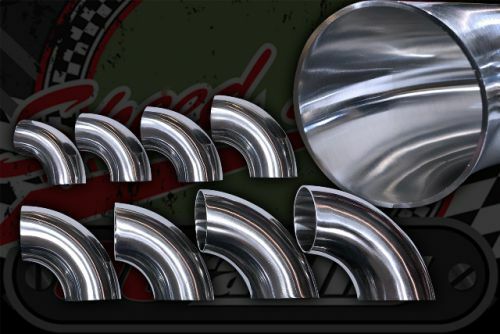 We decided to stock these really useful polished 304 grade bends for custom exhausts or inlets, and water pipe systems. You can simply use insulation tap to hold your bends to the straight pipe to mock up your system, holds well so you can take it to your local Tig welder and get him or her to cut a 10mm strip out your tape to tack weld in 2 places before removing all the tape.